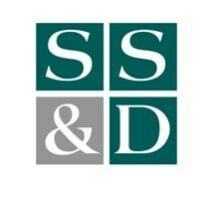 Sanger Swysen & Dunkle, in Santa Maria, California, represents individuals and businesses in both criminal and civil litigation. Our law firm handles jury and court trials in Superior Court, and federal courts throughout the state. In our practice, we emphasize pre-indictment and prelitigation negotiations, pretrial litigation and settlements, as well as trials, writs and appeals. Although we are prepared to handle all felony and misdemeanor charges, our criminal defense practice focuses on white collar crimes. This includes providing a strong defense to clients accused of fraud, money laundering, tax evasion, embezzlement, anti-trust violations and RICO offenses. Our law firm's civil litigation practice includes a broad range of matters, including business litigation, employment and regulatory matters, SEC and FTC matters, anti-trust concerns, significant personal injury cases and defense of governmental investigations. Also, on a selective basis, we handle civil rights cases. Founded in 1973 by Robert M. Sanger, Sanger, Swysen & Dunkle maintains an AV Preeminent rating* through Martindale-Hubbell, demonstrating the highest degree of legal ability and ethical standards. With more than 30 years of experience, partner Robert Sanger is certified as a criminal law specialist by The State Bar of California Board of Legal Specialization. Partner Catherine J. Swysen is an experienced trial and appellate lawyer. She has been recognized by the California State Legislature and civil liberties groups for her work regarding civil rights and by the Santa Barbara Women Lawyers as Lawyer of the Year. Partner Stephen K. Dunkle is a criminal trial lawyer who also handles writs and appeals and assists in complex litigation. Our attorneys are assisted by a staff of dedicated legal professionals. Our Santa Maria location primarily serves Santa Maria, Lompoc, Santa Ynez, Solvang, Buellton, Los Olivos, Guadalupe, Orcutt and San Luis Obispo. Free parking is available to our clients. Information about our three attorneys and professional legal staff. More about our firm and what we do for our clients. Outlines our firm's focus and areas of practice.